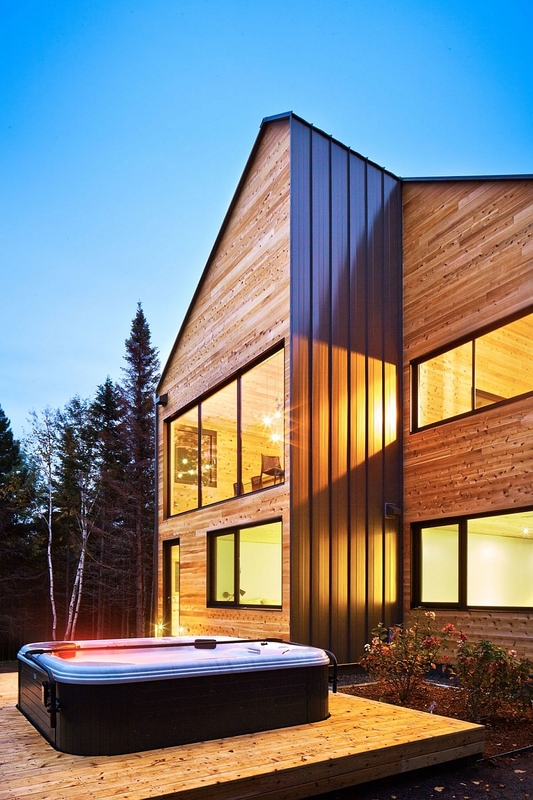 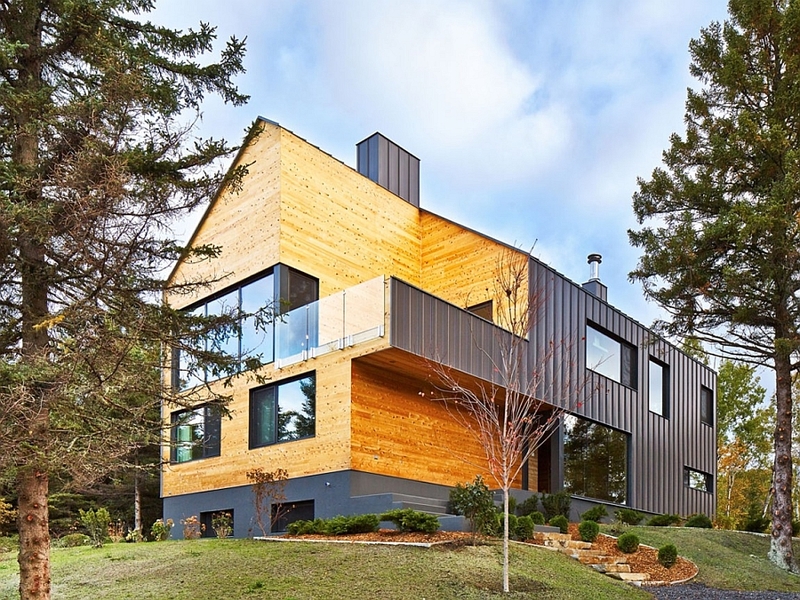 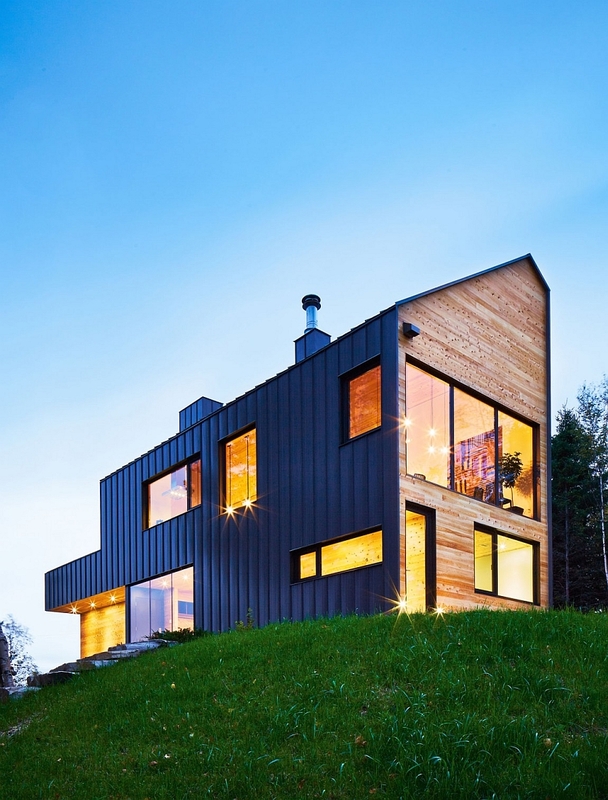 Combining traditional architectural elements with modern design, Malbaie VIII-La Grange in Charlevoix, Quebec, Canada adopts the classic barn silhouette with panache. 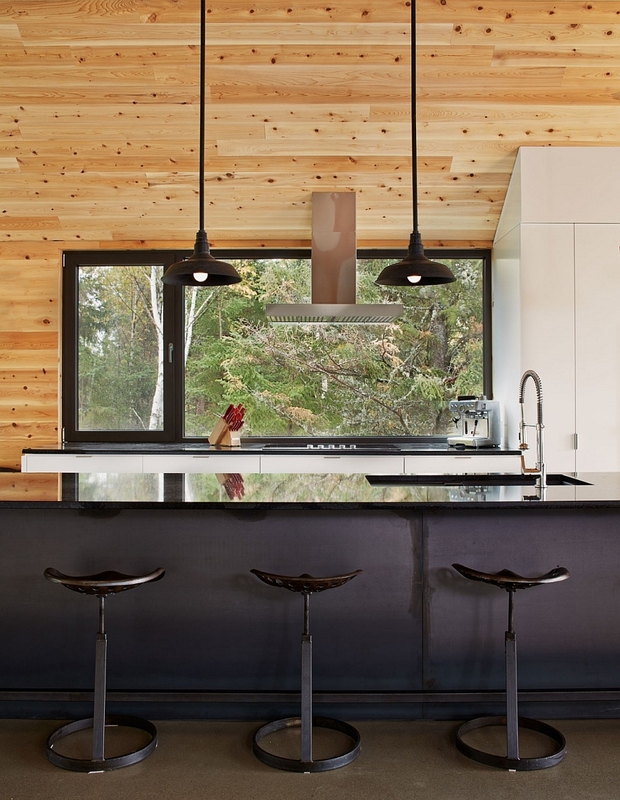 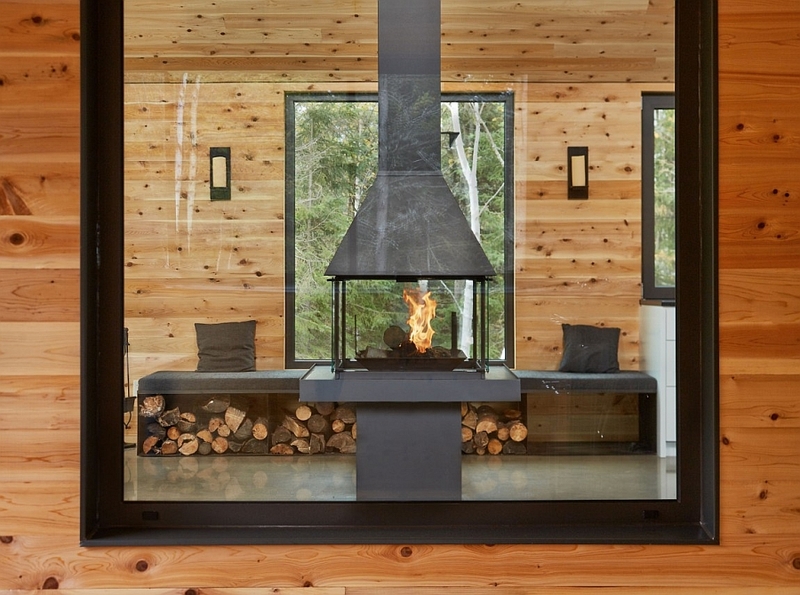 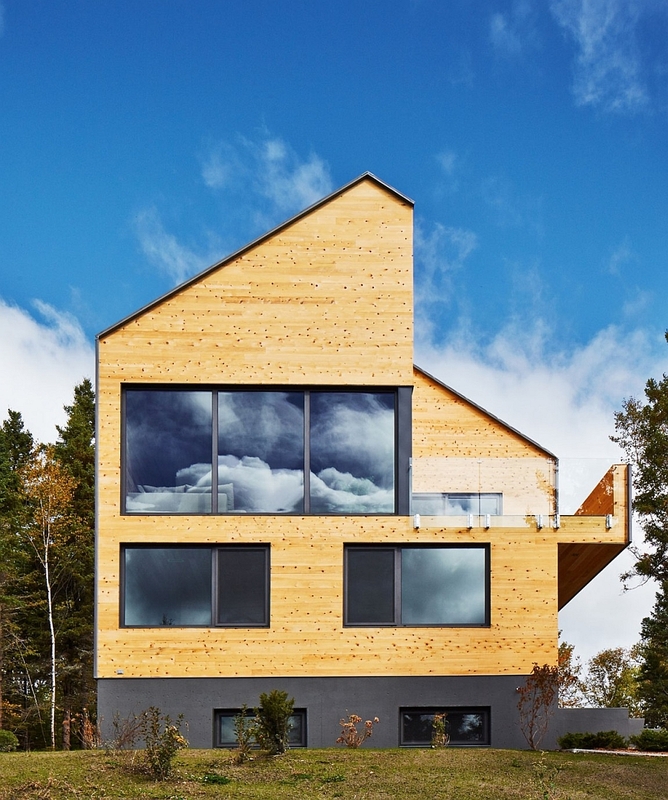 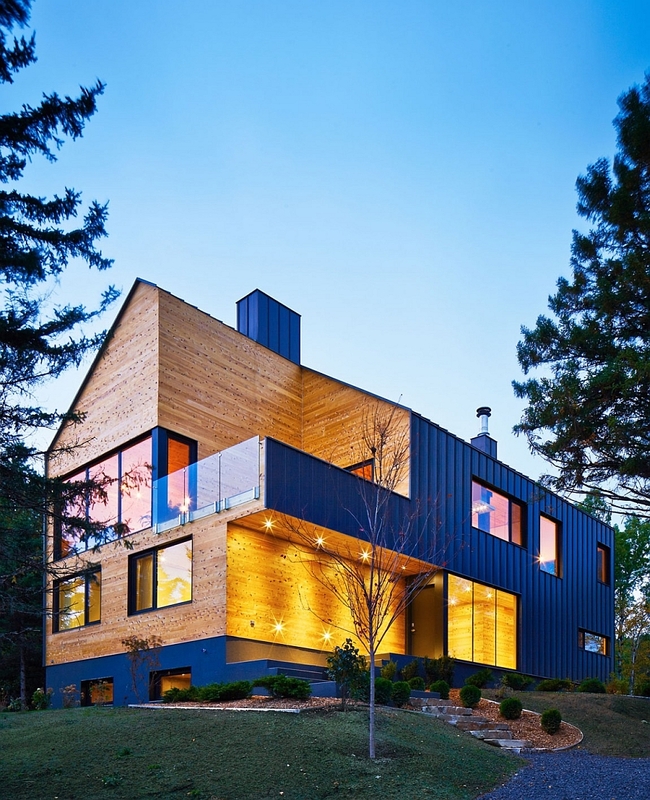 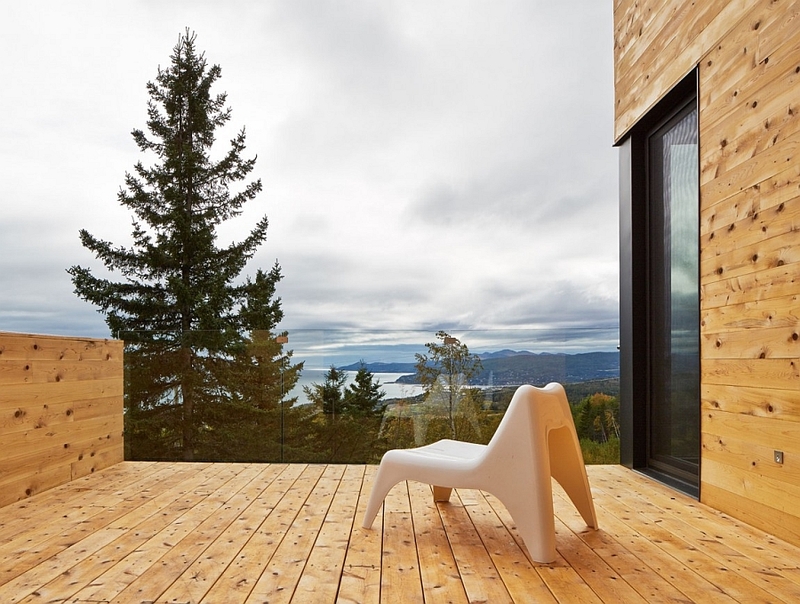 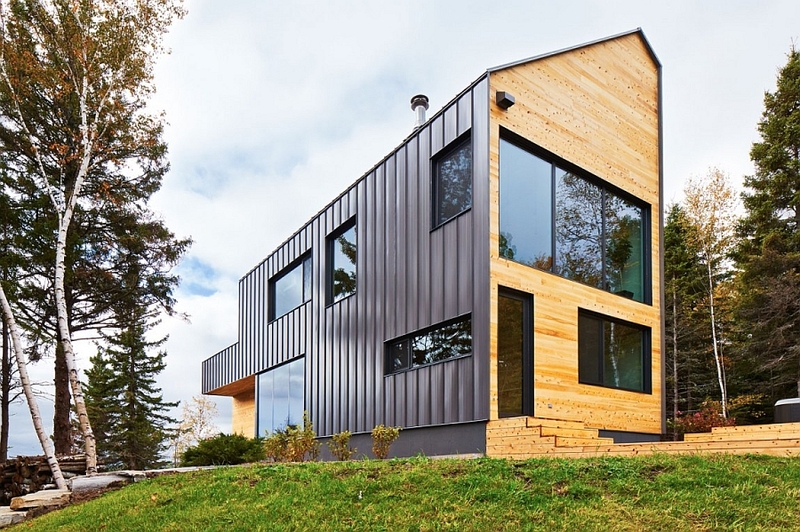 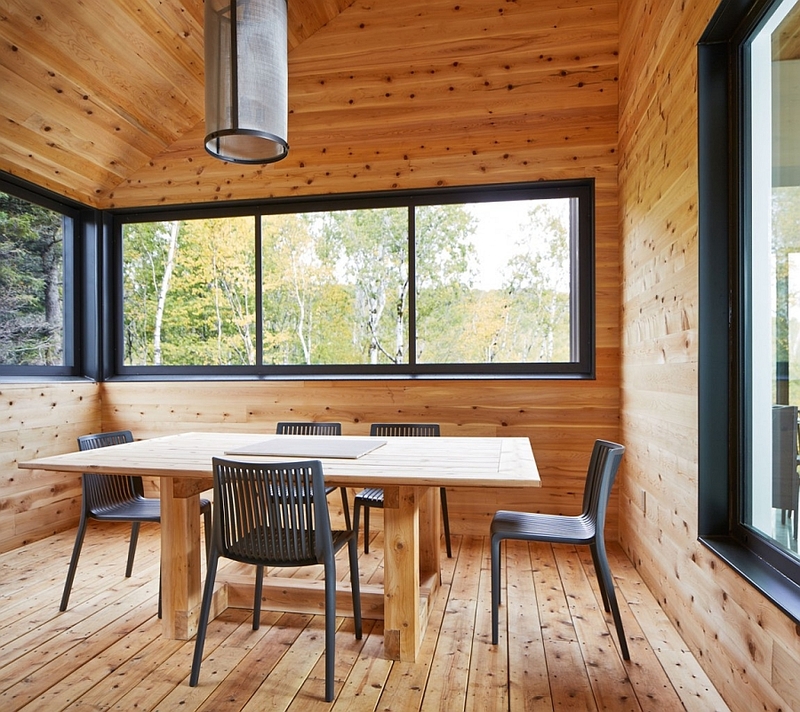 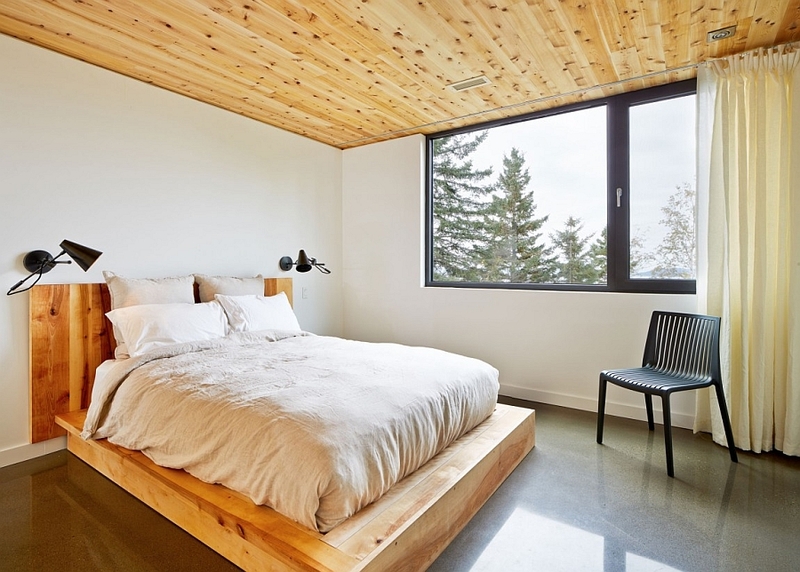 Designed to take maximum advantage of the lovely views outside that include the St. Lawrence River in the distance, the house is clad in a cloak of wooden goodness. 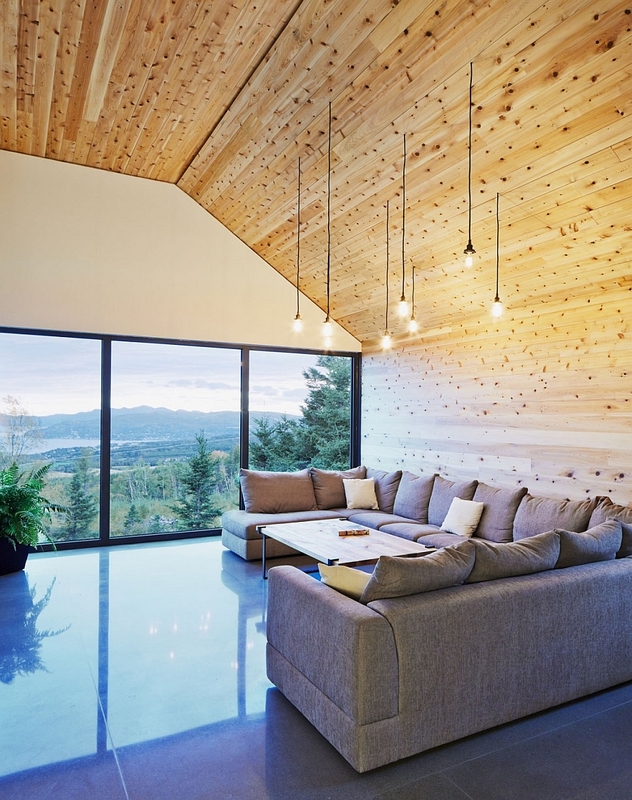 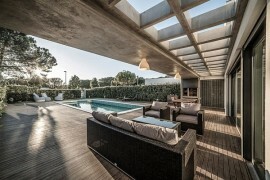 Combining a variety of elements that include wood, steel and exposed concrete, the grand residence presents a comfy, inviting aura that places emphasis on bringing the outdoors inside. 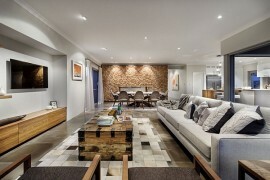 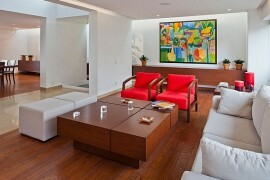 The house is spread across 3 spacious levels, with the children’s playroom and bedrooms occupying the basement. 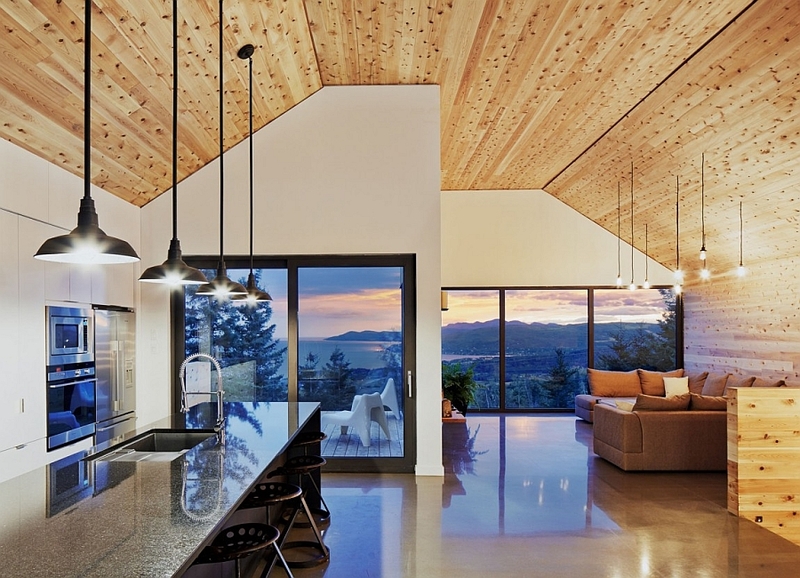 Crafted by MU Architecture to take complete advantage of the beautiful surrounding landscape, the home features large sliding glass doors and windows that offer some much needed visual and textural contrast. 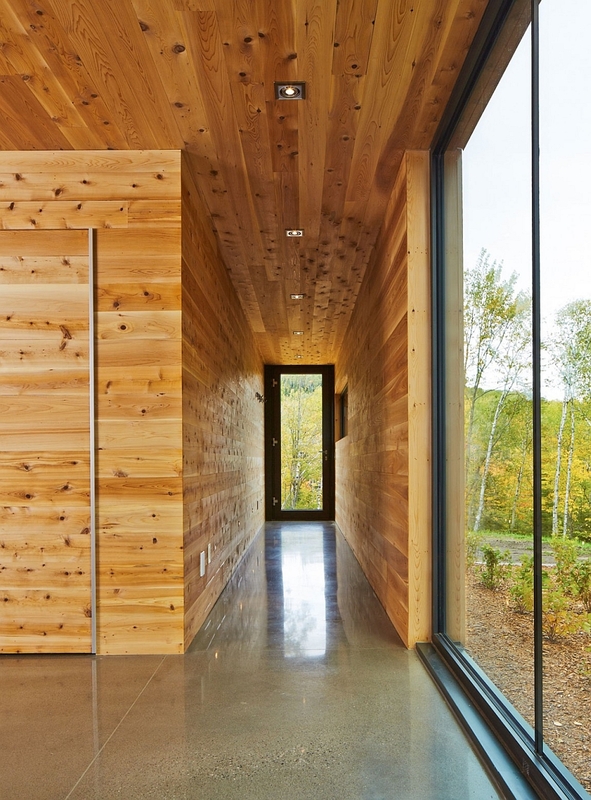 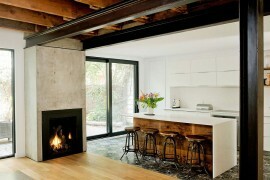 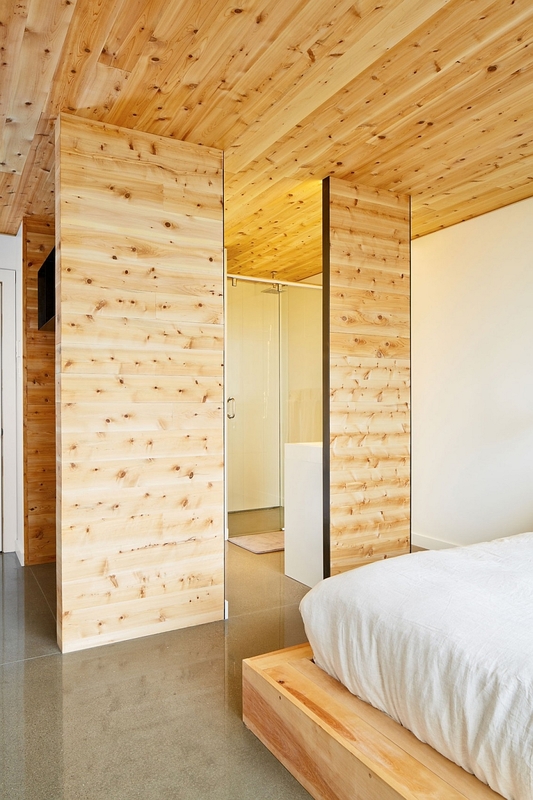 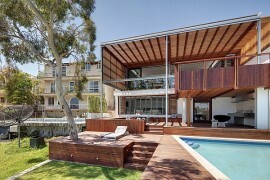 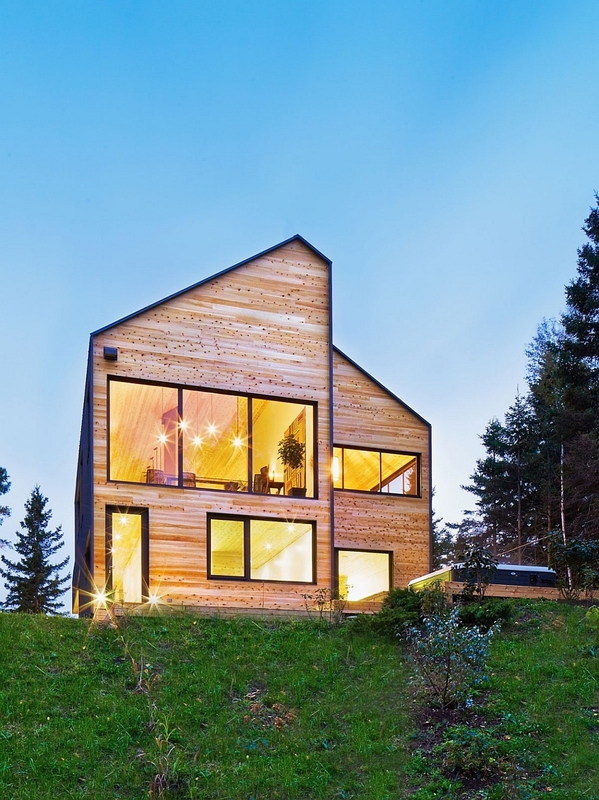 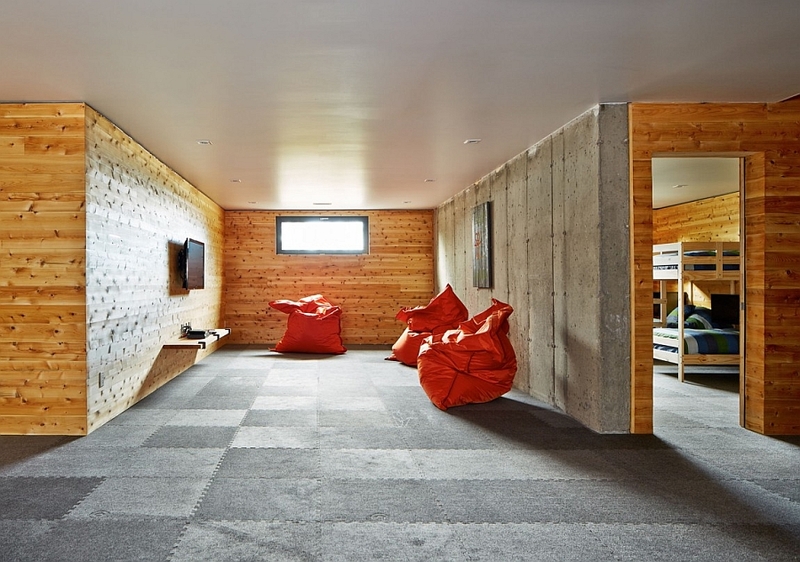 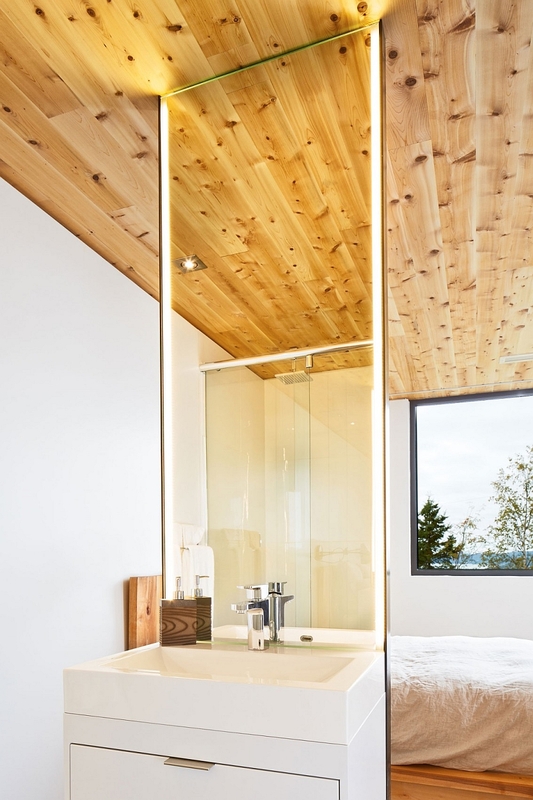 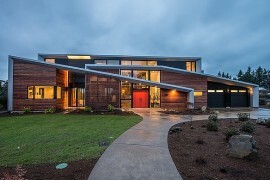 The ground floor embraces this overdose of wood with an entry that is completely covered with wooden panels. 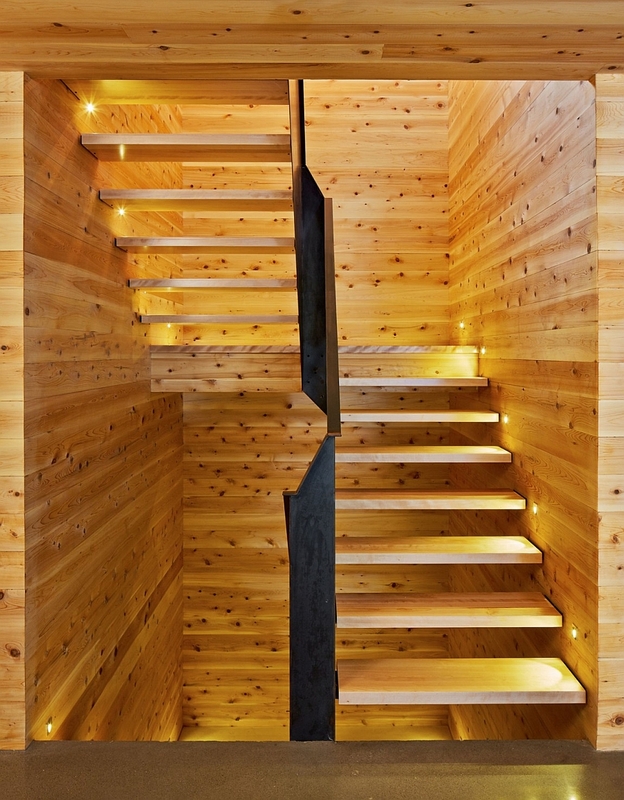 The entry leads to four luxurious bedrooms, along with baths that have been placed on the lower level so that the living spaces can occupy the top floor. 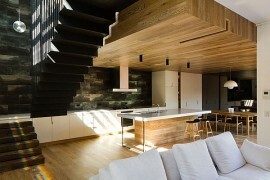 A smart staircase leads to the top level that houses the kitchen, the dining space and the living room. 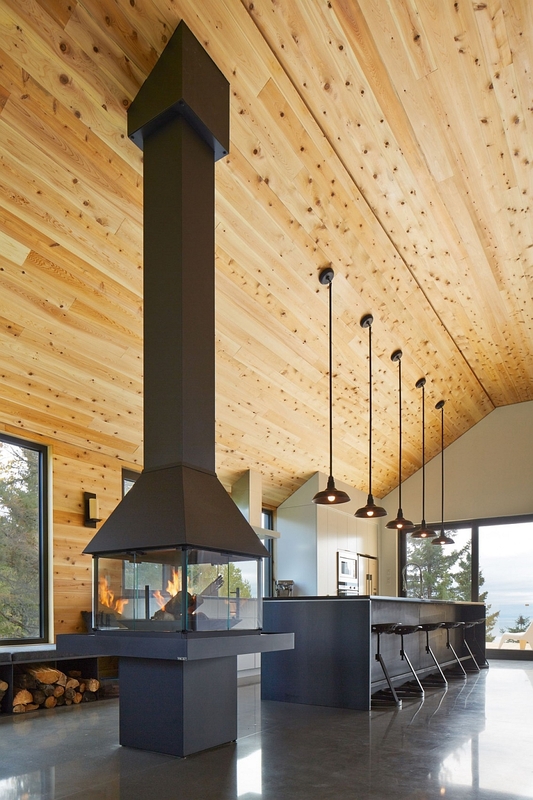 With an impressive cathedral ceiling that is also completely covered in wood, a cozy fireplace and simple, industrial-styled lighting, the remarkable residence manages to effortlessly bring together several different design styles. 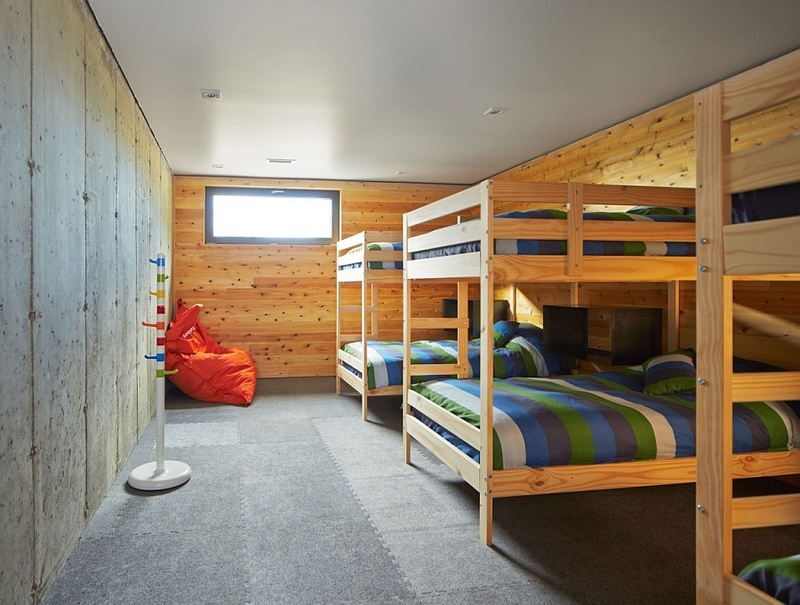 A perfect retreat for those looking to escape the hustle and bustle of big city life!